Census Bureau Director John Thompson Resigns As Agency Faces Funding Debate : The Two-Way Director John Thompson will leave the Census Bureau next month. He testified to a House panel last week that the 2020 Census was on track, but critics warn projected funding could prove inadequate. 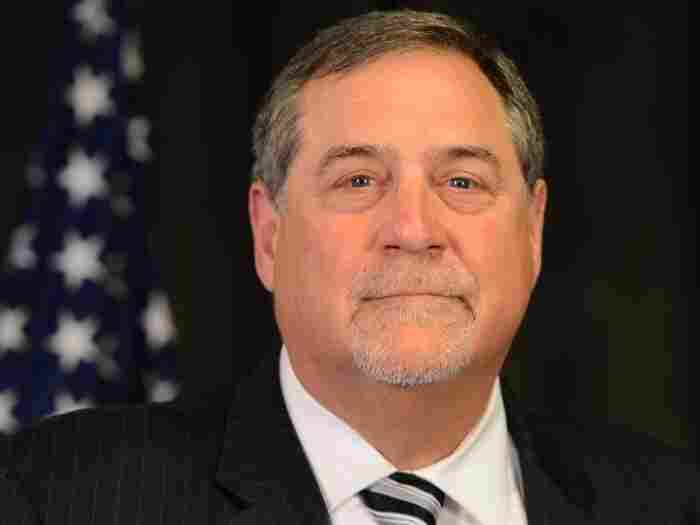 Census Bureau Director John Thompson's five-year term expired in December, but he had been widely expected to stay on through at least the end of this year. Thompson was confirmed as director in 2013 and before that worked in the bureau for 27 years. "Your experience will be greatly missed," Commerce Secretary Wilbur Ross said in a statement. Thompson testified to a House committee last week that the 2020 Census was on track. "Members of the panel expressed concern about the escalating costs and overruns of the decennial accounting exercise mandated by the Constitution. "The 2010 Census was the costliest U.S. Census in history, at about $12.3 billion, according to Robert Goldenkoff, strategic issues director for the Government Accountability Office. "Thompson told the same panel that the the 2020 Census will cost about $12.5 billion. "Some of the increased projection is the result of modernizing the counting process, Goldenkoff said. "Asked whether Secretary Wilbur Ross or Trump himself had asked Thompson to step down, White House spokeswoman Sarah Huckabee Sanders said by email: 'He's simply retiring from public service. He spent 30 years in public service and 10 in the private sector.' "
Neither Census Bureau nor Commerce Department officials responded to questions from The Washington Post about why Thompson is leaving now and whether his departure was unexpected. Thompson's five-year term expired in December, but he had been widely expected to stay on through at least the end of this year. It was not announced who would become the acting director. A Commerce Department spokesperson told The Post that an acting director would be designated "in the coming days" and that the position would be filled permanently "in due course." President Trump will get to nominate a successor for a five-year term, and the person will need Senate confirmation.